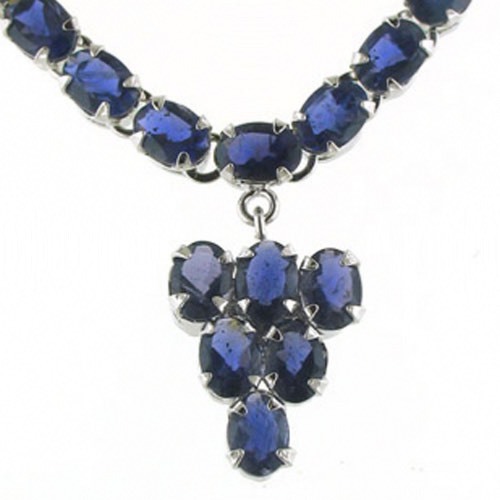 These iolites are stunning - clear, brilliant and evenly coloured. 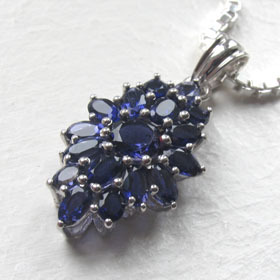 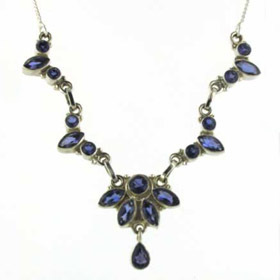 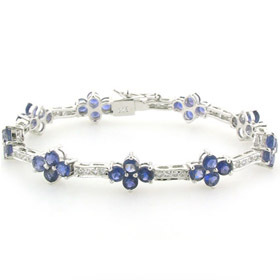 Iolite is a gorgeous rich indigo colour and coordinates well with blues, purples and greys. 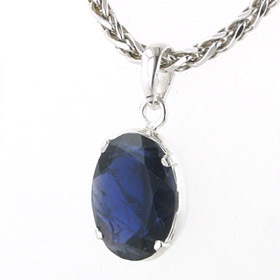 This necklace has 25 oval iolites in the chain with 6 in the pendant. 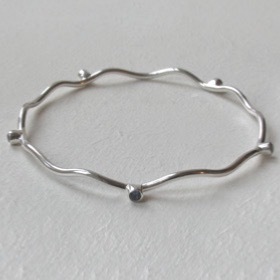 They are all individually claw set in sterling silver. 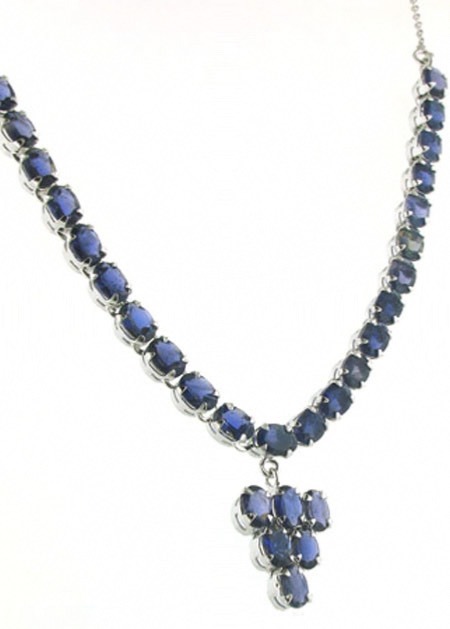 The necklace is finished with a sterling silver link chain and is adjustable in length. 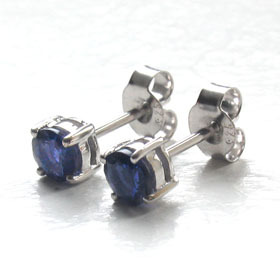 Team up with a pair of iolite earrings. 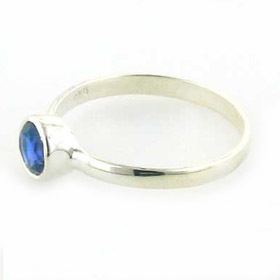 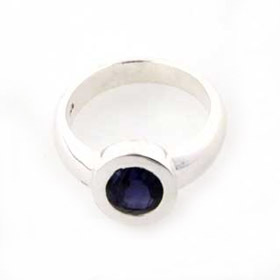 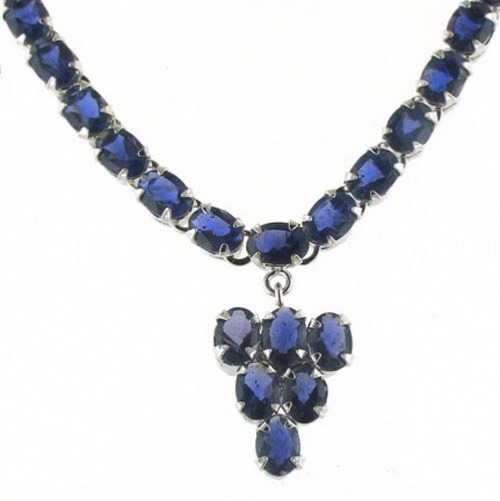 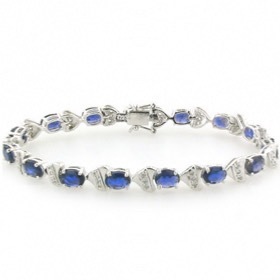 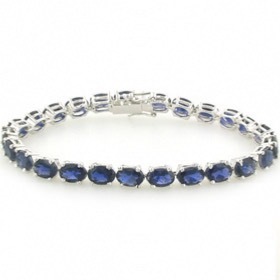 Buy her a gift of iolite jewellery for your 21st Wedding Anniversary.